The newspapers have been playing an important role in the communication department and improvement of English language and disseminating the information quickly and accurately, its services to the society is wonderful and splendid. The Newspapers can do some modification definitely to capture good share of the market in the industry. 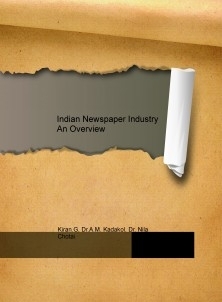 Today print media is becoming increasingly expensive activity so; the key spotlight of the thesis is to find out which newspaper is having more impact on the readers in receiving the information quickly and accurately and to know how newspaper has become more a customized product in order to reach the different segments of the society.